The Energy Policy Initiatives Center sponsors the Energy Law and Policy Clinic, a unique opportunity for USD Law students to work in partnership with a related state agency to conduct legal research on a topical issue. The Energy Law and Policy Clinic, which is offered every Spring semester for 3 credits, seeks to match a small group of students (3-6) that have taken Energy Law and Policy or Climate Law with a state agency to conduct legal research on a real-time issue. Students interact periodically with agency staff and develop a legal memo or similar report to present to the agency at the end of the semester. In addition to learning about a specific energy or climate related issue, students who take the Energy Law and Policy Clinic also learn a range of practical skills. At the end of the clinic, students travel to Sacramento to present their findings to a group of agency staff. 2018: Students worked with the Chief Counsel’s Office of the California Energy Commission on a confidential project. 2017: Students worked with the Chief Counsel’s Office of the California Energy Commission on issues related to implementing SB 350. 2015: Students researched topics related to the U.S. Environmental Protection Agency’s Clean Power Plan proposed rule. This work is for the California Energy Commission, in partnership with the California Air Resources Board and the California Public Utilities Commission. 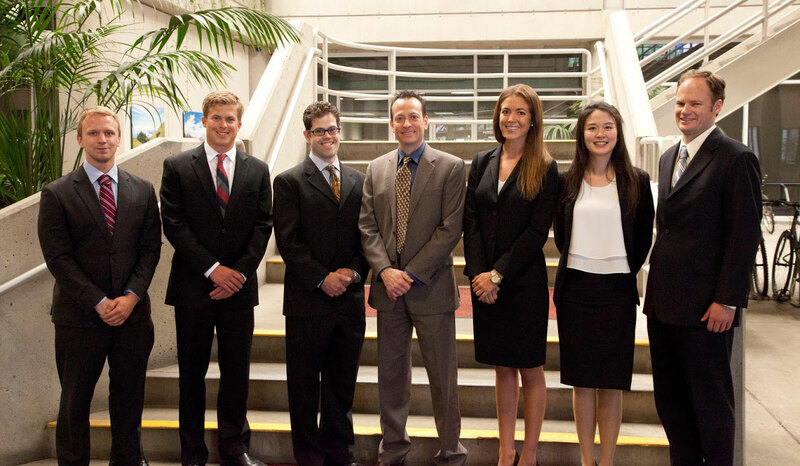 2014 : Students conducted research related to cost effectiveness for the California Energy Commission. Interested students should submit a brief statement of interest, resume, and writing sample to Joe Kaatz, Staff Attorney at kaatzj-11@sandiego.edu. Students also should sign up for a full course load and if accepted into the clinic can drop 3 credits. For additional information about the clinic, please contact Joe Kaatz at at 619-260-4600 ext. 2870 or the above email. Energy is the lifeblood of the modern economy. Its production, conversion, and consumption affect nearly every aspect of our lives. Recognizing the increasing importance of energy and its role in global climate change, this course introduces students to the legal, regulatory, and environmental concepts relevant to the changing electricity and natural gas industries in the U.S. The course examines the historical and legal origins of energy regulation and ratemaking and provides an introduction to the natural gas and electrical industries, including basic terms and concepts, regulatory trends and emerging issues. The course will explore the rise of competition in both industries and will cover California’s energy crisis of 2000-2001 and its aftermath, and trends in renewable and distributed electricity generation. Students also will examine the rapidly evolving regulation of greenhouse gas emissions in California and the United States. This contemporary topic introduces students to international law as it is applied to the interaction of states with respect to energy investment, international trade and climate change. The course examines the role of major energy players apart from nation states, such as international organizations (for example OPEC, the IEA), specific agencies of the United Nations (UNDP, UNEP), multinational companies (BP), national oil companies (Pemex, Statoil) and the extent of their international legal personality. The course assesses agreements/contracts/treaties between nation states and multinational companies in the exploration, supply of, and investment in energy resources. The rights and obligations of parties within Bilateral Investment Treaties (BITs) go beyond typical contractual agreements. International energy investment disputes are most often resolved by arbitration as the preferred mode, with ICSID the forum of choice. Recent BIT and ICSID case law will be used to illustrate application of principles of international law in energy use. Obligations taken on by states under the international climate change regime have resulted in the advent of low carbon energy policies in most countries. This has led to international energy disputes in the guise of international trade (World Trade Organization) disputes. Where possible, 1-2 relevant practicing attorneys are invited to speak in the class, and students are encouraged to attend 1-2 relevant international energy events usually available in the region during the semester. See the USD School of Law Course Information site for more information on class schedules and registration.